I have waited for this moment for years now, and it’s finally here. I’ve done reviews, previews, overviews, VR advices, and for a device that wasn’t even out yet. I am really glad it’s out, and can’t wait to review Oculus Rift, as well as HTC Vive (HTC Vive vs. Oculus Rift). But now Rift is here, or at least here in Finland, the only place that is closest to my home country. That’s right, in order to review this piece of technology, I had to travel 400 kilometers to one of my friends that was lucky enough to order the device minutes after the pre-order announcement was made back in January. I am ashamed to say that I was stuck in toilet while the shipping date changed from March to April, and from April to May in a matter of minutes. But more about that later. Since this site solely focuses on Oculus Rift (which you can purchase on Amazon) and virtual reality in general, this review will not be fluffy. There will be no sunshine and rainbows, but hard honest truth, and if there will be at least a tiny amount of user discomfort for me, that will not be ignored. But now, let’s get to the review. Although my reader base has now grown to thousands per day, I am certain not all of you who come here to this article, are completely familiar with this device. So here it goes. Oculus Rift is a head-mounted-display, transporting you to virtual reality mainly through visual representation. Your head is like a mouse, you move your head, and image in front of your eyes moves accordingly. For example, if you sit on a chair and lean forward, and your in-game character will move forward also. In addition to all that, everything inside the game is in 3D and is scaled to proportionate size. Meaning, if you look at the dinosaur, he will literally be huge in front of you. So caution, you might get chills. 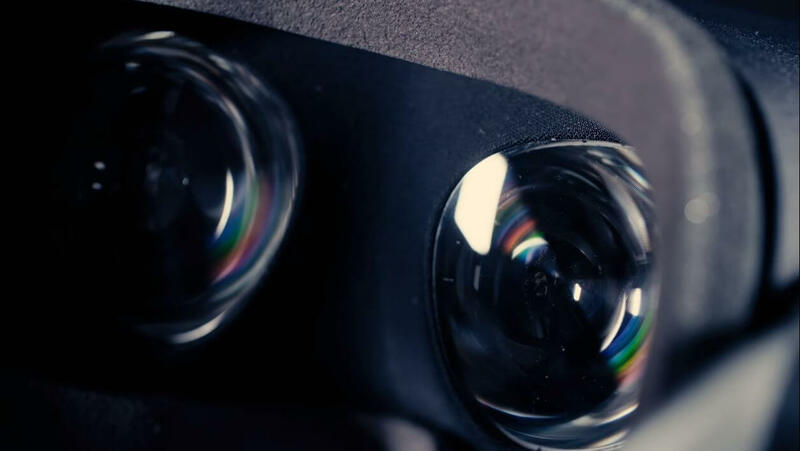 It all started in 2012 when Palmer Luckey decided to make his own VR headset in his basement, and now it has grown to be a worldwide technological breakthrough. Development Kit 1 and Development Kit 2 that came out in 2013 and 2014, were just prototypes for a device that I am reviewing right now. Hundreds of thousands of people have tried it, and have fallen in love with it immediately. DK1 had series of problems that had to be solved fast. While people were dropping their jaws, they were also throwing up due to nature of the inner ear that caused motion sickness. 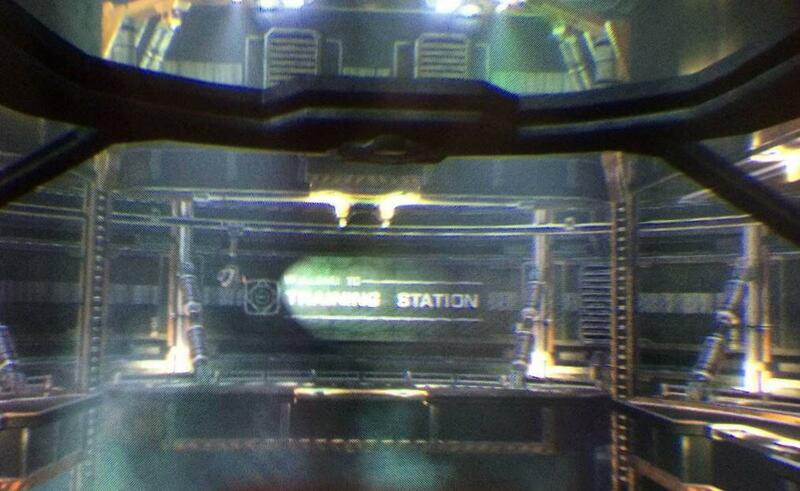 With DK2 it was partially solved by adding “head tracking”. 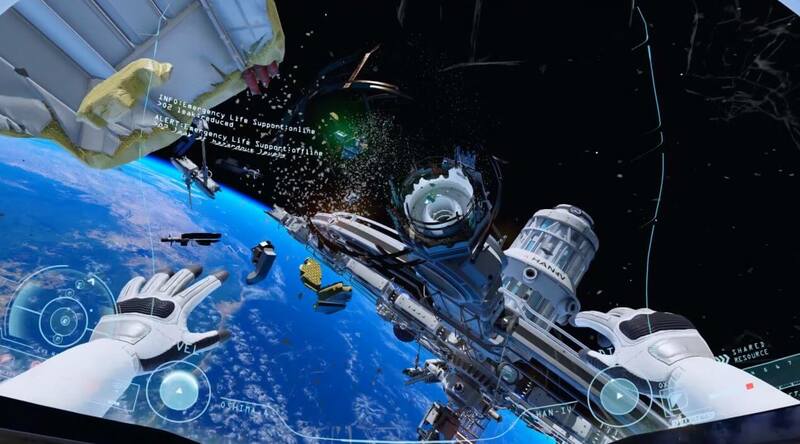 Life in VR became easier for “VeeRrerrers” but not completely usable for daily usage. 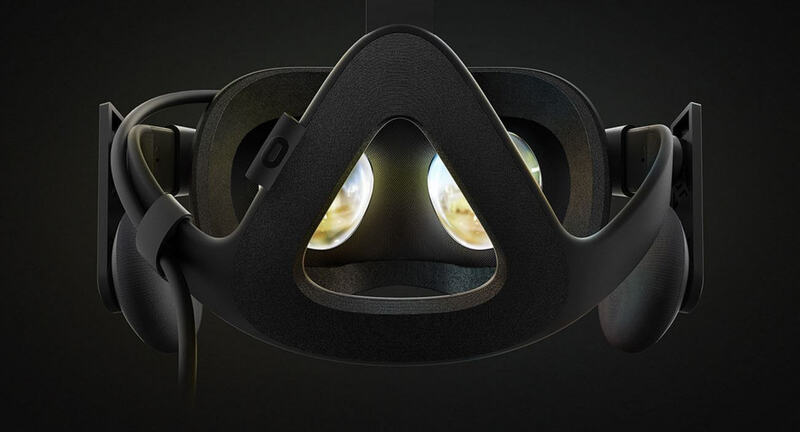 And now, Oculus Rift CV1 is out, and it’s a damn good device. 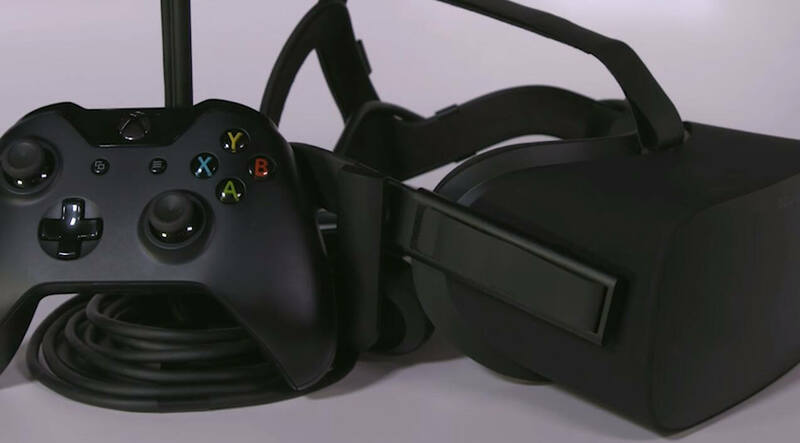 Oculus Rift CV1 is one of the most comfortable headsets I’ve ever stuffed in my face. Stuffed isn’t even the right word. 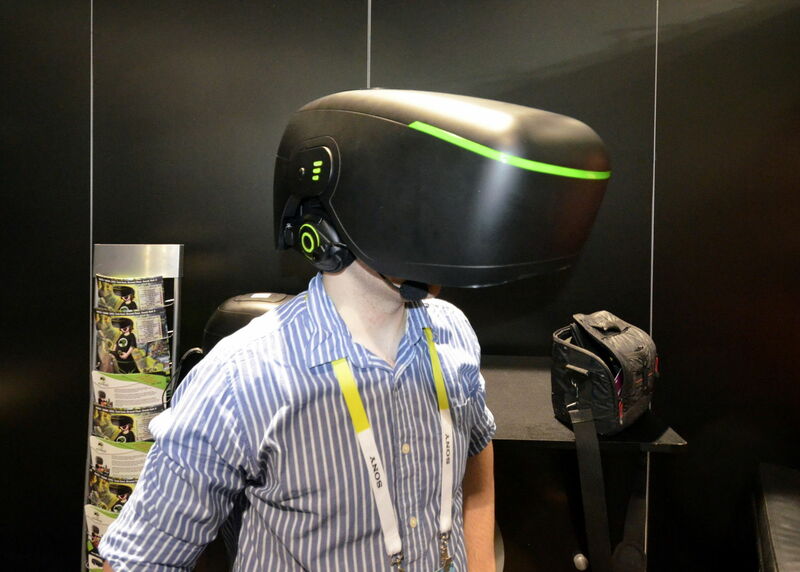 Once you regulate the strap-on for your head size and shape, Oculus Rift fits in your head like a baseball cap. Due to that, comfort level has risen by a mile, since it wasn’t as easy to do with my DK2. Weight of the Oculus Rift is around 470 grams, but I didn’t really feel the weight on my head due to smart weight distribution. Weight has been moved closer to the center of your head, leading to almost no neck strain after hours of continuous usage. One other difference between DK2 and this Oculus Rift are integrated headphones. 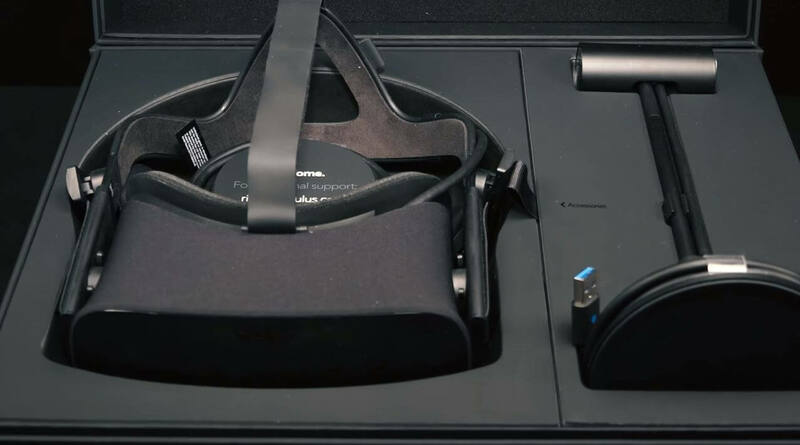 Oculus Rift CV1 has installed headphones already on both sides, and for VR it is recommended to use only them (the quality of it will be discussed later). Headphones are surprisingly fitting, it doesn’t bother you, and even if it does, they are easily adjustable, or even removable. You can’t really compare Oculus Rift to many headsets, but you can compare it to HTC Vive at least. Light leakage is a real thing for me. I like to be completely immersed in virtual reality, but that open area around the nose bridge makes it a bit… “unusual” lets say. Once you put it on, depending on your nose size, you might experience light coming from beneath you, breaking your game immersion. It is made for better air flow so there is less sweat, but still, other headsets might have a better interior design from my personal experience. 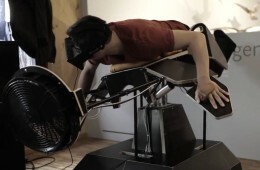 The face rest itself, or in other words, that oval pillow case around Oculus Rift, is fairly thin. That might result in Oculus logo sign branded on your face after you take it off in a few hours. If you don’t want to look like the one above, make sure to loosen the straps. One other problem could occur, and that is if you have large glasses. I, for one, got used to wearing contact lenses, but there have been reports of people getting discomfort with frames that are bigger than 140mm in width. Oculus website says 142mm or less is ideal, but it seems that it’s a bit lower. So investing into more suitable glasses can be troublesome. It’s nitpicking on small things, and at the end of the day, it may not even matter since every person has a different head structure. Once you get your Rift, make sure to spend enough time to make the Rift sit comfortably on your face. This Oculus Rift has improved tremendously in terms of screen quality. Resolution is better, and screen door effect has been reduced by a margin. I would even say that the latter is more important for immersion than the resolution itself. I can still see space between the pixels, but it doesn’t bother me as much as it did before. For example, when I played Elite: Dangerous on Oculus Rift CV1, in-game text was finally clear and visible, unlike on DK2. That is a huge plus in the visual department. The only negative I could find is that field of view is theoretically smaller than on Vive. The reason I say theoretically is because it’s barely noticeable due to lens build itself. But still, it would be good if there was an adjustment system that regulates the distance between the lens and your eye. The closer the lens is, the bigger an FOV. I have no idea why Oculus Rift didn’t include that system, but here we go. However, if we compare DK2 and Oculus Rift CV1, then Consumer Version 1 feels like a great improvement over the previous Rift model, even if on paper it says 100 degrees for both of them. Let’s be honest though, measuring field of view for VR headsets is a pain in the ‘lower area’ due to everyone having a different face structure. And that means eyes are going to be further or closer to the display, depending on your face shape. Other than that, I have no issues with the display. UPDATE: Some people have been saying there is a “god ray” or “glare” effect happening on Rift, but as far as I used it, I didn’t notice any of these issues. Upon further use, I will be keeping it in mind and updating the article. Unbelievably good. 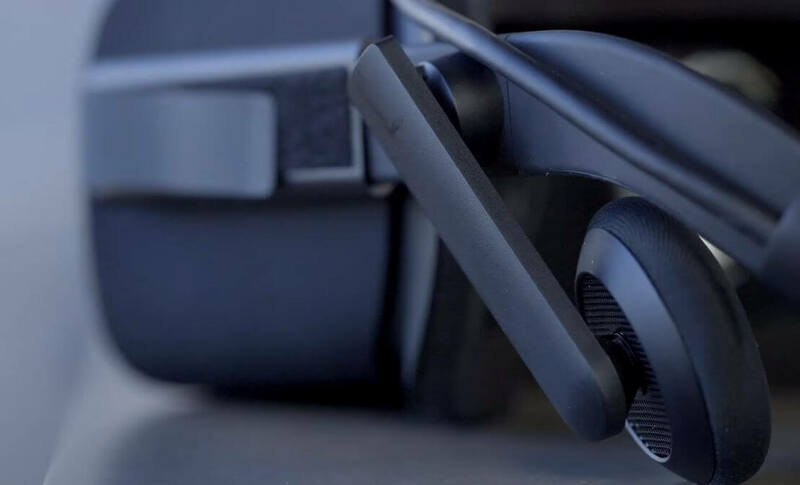 Oculus Rift headphones are actually one of the best I’ve heard in a while. Even from audiophiles Oculus Rift can squeeze out “not bad”, which is a huge deal. I was actually really sceptical of the sound quality when I saw the headphones themselves months back when the Rift pictures were leaked. At first I thought they bought some cheap “soundmakers” from back-end of who knows where, but when I started to read more and more about them, my views changed. I was still a bit unsure of the quality, until I tried them on myself. Absolutely perfect. It’s sharp, crisp, and has enough bass to make you shiver. I would prefer headphones that cover your ears completely to avoid sound leakage, but from what I’ve experienced, I just simply don’t care. 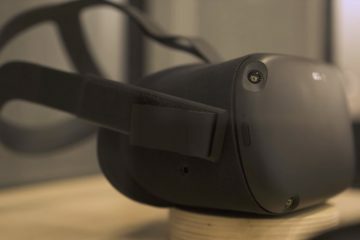 The fact that Oculus Rift has integrated headphones, is actually a huge plus, since putting on a VR headset, and then trying to find headphones and putting them on your head also, is really awkward. You would get used to it (ask Vive owners), but it’s an unnecessary headache. However, if you do not want to use those integrated headphones, feel free to connect your own. But be aware that you’ll have to plug it into your VR PC, and that means an extra cable will be tangling around your feet. You know, those of us who have tried out DK2’s, Gear VR‘s, Cardboards over these past 2 years, have been spoiled into wanting an absolute perfection. When I and many others on the internet tried out virtual reality 3 years ago, our minds were blown. And that was with Development Kit 1, the most awkward headset I know, 3DHead excluded. But my experience ignored all the bad things back then, and was just amazed by the 3D scale around me. If you haven’t tried anything virtual reality related, and Oculus Rift CV1 is your first VR headset that you use, your jaw will be open for at least the first 30 minutes without you knowing. Then you’ll close it after you realise you’ve been drooling all this time. That’s how amazing it is to play games within virtual reality. I will be straight with you all though. These games that we are seeing released for VR only, are mostly just indie tech demos that don’t last long in terms of gameplay. You’ll play it once, you’ll play it twice, and you probably will forget about them. Not a lot of games are out there, especially the ones that are made with longevity in mind. 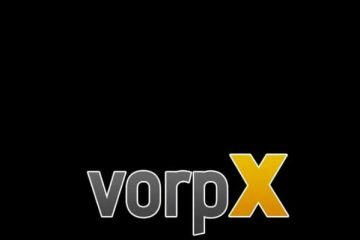 There are some, like Elite: Dangerous, GTA 5, an upcoming Minecraft (which I am actually super hyped for since John Carmack personally has been working on VR support), and so on, but as you see, all the mentioned ones are made mainly for regular PC users, and only then the VR support was “injected”. I feel like that’s how the next few years are going to be. 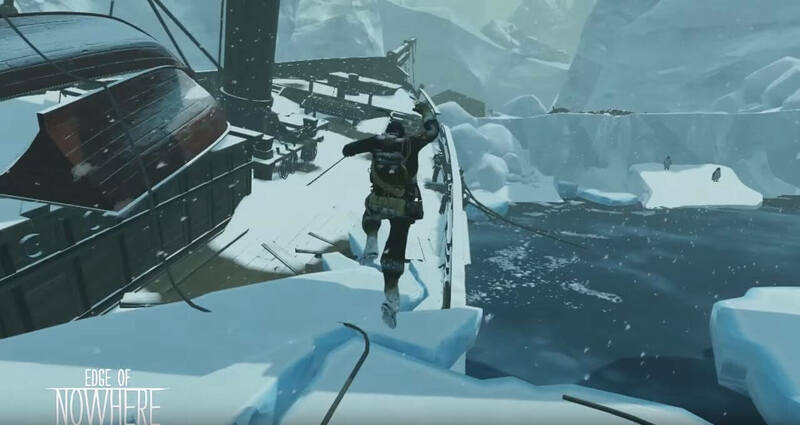 Games will be mostly released as tech demos by Indie developers, and the main “VR killer apps” will be triple-A games, modified to support Oculus Rift and HTC Vive. Once developers and huge game companies decide that enough people have VR headsets in their homes to make profit of, they will invest more effort into making awesome full-blown games for Oculus Rift and whatever else headset may come out in the future. Right now, we just have to have enough belief and patience for it, while sitting in a virtual sandbox. 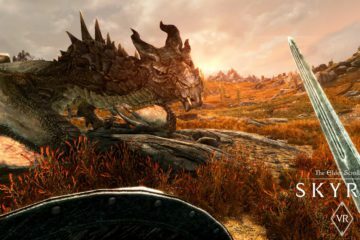 My only hope is that Oculus will not keep releasing games with an “Oculus Rift Exclusive” tag, as it’s just plain silly in such an early VR state. Right now, we need as much co-operation between the Rift and Vive as possible, so it can survive the judgement day that every new technology has to go through before it becomes mainstream. Wii U did not survive. Will VR survive it? I sure think and hope so, and a lot of it depends on game variety. But how do these current VR games perform on Oculus Rift? That obviously depends on developers, and how well your PC runs. Oculus Rift just shows you the screen, even though resolution could be upped by a bit. If you’ve never seen individual pixels before, prepare for it. They won’t distract you from gameplay, but they will be there until another wave of VR headsets is available to us. That’s just unavoidable for now. 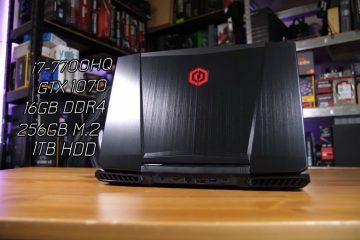 In terms of FPS, your computer has to be powerful enough for VR. You’ve heard it here, you’ve heard everywhere probably. It doesn’t change the fact that you do need a good PC. 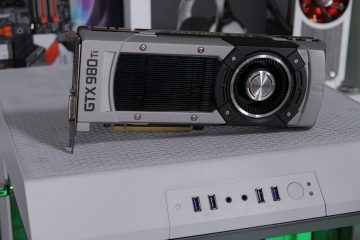 Yes, you can use Oculus Rift with, for example, GTX 680, but it won’t last for long, as all the game devs right now are targeting audience with the thought that they are using a GTX 970 and beyond. It’s just easier for optimization. 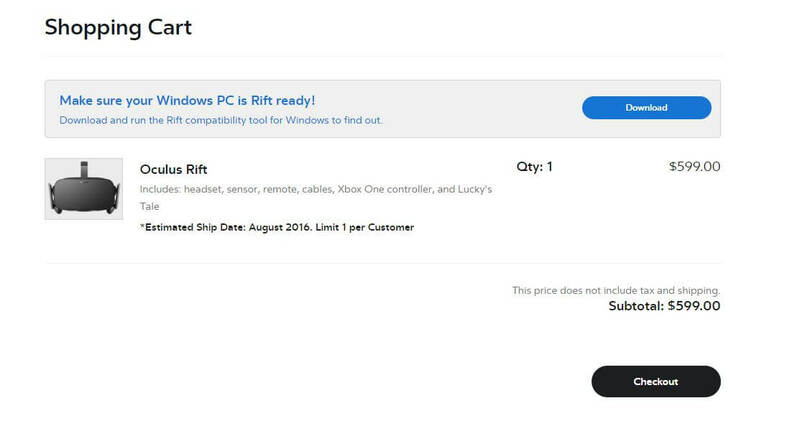 Rift has only one sensor. People at Oculus have said it for a long time that Rift is more designed to be for seated experience, but I didn’t think it will work that well while standing up and even walking around. While trying out the movement in the Oculus Rift, I did experience some minor “glitches”, but they were instantly fixed and were almost not noticeable. So moving around the room is possible with this one sensor, but since it’s not built for that, you are prone to hit the wall. I was basically holding my hands further away from me in fear of stumbling into something. That is why some kind of a chaperone system is needed. Other than that, I feel like sensor is extremely accurate, and once Touch controllers will be out, we’ll have a lot of good times. Which, by the way, brings us to another topic. Well, let me tell you. Everyone is interested in it, including me. But I think one other reason he decided to not ship it is because there simply are no good lengthy VR games made for it. Like I said, everything is in Alpha phase. You get it, you’ll play with it, and you are left wanting more, and there won’t be more until months have passed. We are completely getting spoiled here by the way. Imagine you playing GTA 3 ten years ago, and you think that it’s the best looking game of all time. Then you suddenly get to play GTA 4. Your views completely change. That’s exactly how Touch changed my mind. I got to try them a few months back, and I didn’t want to go back to Xbox One controller with Rift. Going back to gamepad controller after Touch is like playing basketball in handcuffs. You want to be free, but you can’t. I’ve said it before, and I’ll say it again. 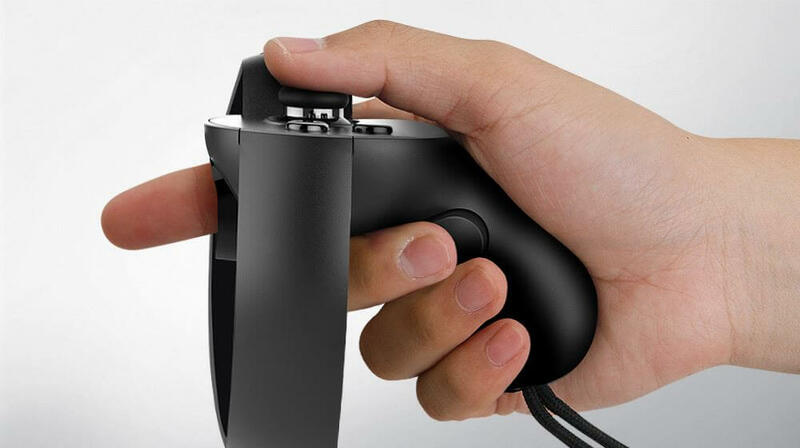 Oculus Rift desperately needs better, and more track controller games on it. This problem is not exclusive to Oculus only, Vive has the same problem. These game titles that exists right now for VR in general, are not sufficient for me. I need to see more. With time it will happen of course, but for now… wait, wait, and wait. When people heard about the price, people were completely pissed. Not because they couldn’t afford the Rift, but because expectations were completely different. They were expecting the price to be around the same as DK2 (which was $350), but instead they got $599. If you ask me, I find it completely alright, considering the technology that is stuffed in there, but since Oculus kinda messed up with their announcements, I understand the frustration. Even Palmer Luckey himself took time to apologise for misinforming the crowd months before the price reveal. On top of $599, Touch controllers are recommended to buy, and that will add a few bucks once they come out. I imagine the price for Touch will be around 200 dollars. If that is correct, then it has the same price as HTC Vive. But who knows, they might surprise us and make it $99, like Gear VR. Then Oculus Rift CV1 overall is officially cheaper than Vive, and I believe, as time goes on, price will drop even more. Oculus Rift is an amazing piece of technology. However much I roast it here, it doesn’t change the fact that you will have a lot of fun with it once proper games will start to come out. I sometimes wish I knew how to develop games because I have these ideas for virtual reality that I haven’t seen on the market yet. 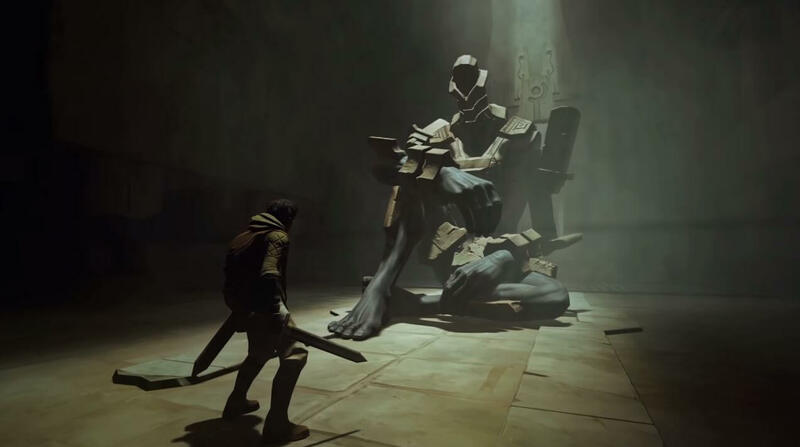 For example, 1v1 sword fighting games (I imagine the difficulties that come with it though) are something I really am waiting for. Seeing them and being able to compete against other players would be interesting and challenging at the same time. For once, your real movement skills are starting to matter more than how well you react to hit a certain button. Hitting the right spot can be hard in virtual reality business. Companies that start making VR headsets, have to learn different things along the way to consumer tech. Making displays is one thing, but then the ergonomics start to play a huge role, and with so many different head shapes, it’s hard to nail it, especially with the first official launch. In my opinion, Oculus did a fantastic job with the Rift. Yes, the price caught some of us off guard, yes it’s expensive to ship outside of America (I spent over 1000 dollars for it due to shipping), and yes, it can be improved in some other areas also. But the fact that it’s one of the only VR headsets out there, and Oculus had no one to blueprint, it makes me appreciate their hard work they’ve put into it. When we review this device, we should pay less attention to specs, and more so to it’s capabilities of making us immersed in the virtual world. When you put it on the first time, that scale of your surroundings is what opens your jaw. Imagine you playing Dark Souls 3 on your regular monitor, and suddenly after putting on an HMD, Ludwig, one of the bosses, is staring right at you just a couple of feet away. In order for you to see him, you will have to physically move your head up to see him in full glory. These kind of scenarios made butterflies in my stomach with just indie games, but imagine when triple-A titles will start to come out… I am really hyped for what VR has in store for us in the future. Most of these issues that Rift has right now, will be eliminated. And what’s even cooler, it will be improved. 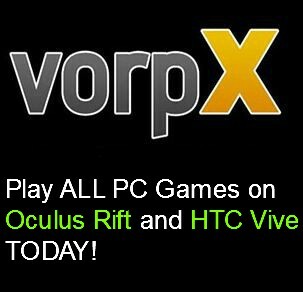 But if we go to the comparison world, is Rift better than Vive? Difficult question to answer. 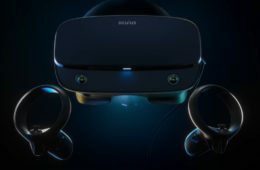 There are some controversies with the Rift, especially surrounding the Facebook and “exclusivity” topic, but they do not shine the light where it should be shined. User experience is what matters the most, and as far as I can see, it’s good. I have to reserve “perfect” for the Rift successors, right? Anyhow, if you want to get into virtual reality, Rift is a very good option. If you see Youtubers saying that Vive is better than Rift, it’s because most of them forget to add they only tried the DK2 version, and because of that have not given it full justice. It’s kinda bugging me that they forget it. Well, kudos to Vive for managing to distribute more Vive’s to famous people than Rift did. For all I know, Vive deserves all the praise it gets. Purchase the Oculus Rift on Amazon! 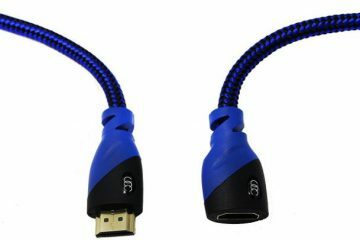 Looking For Oculus Rift HDMI Extension? Then Read This!